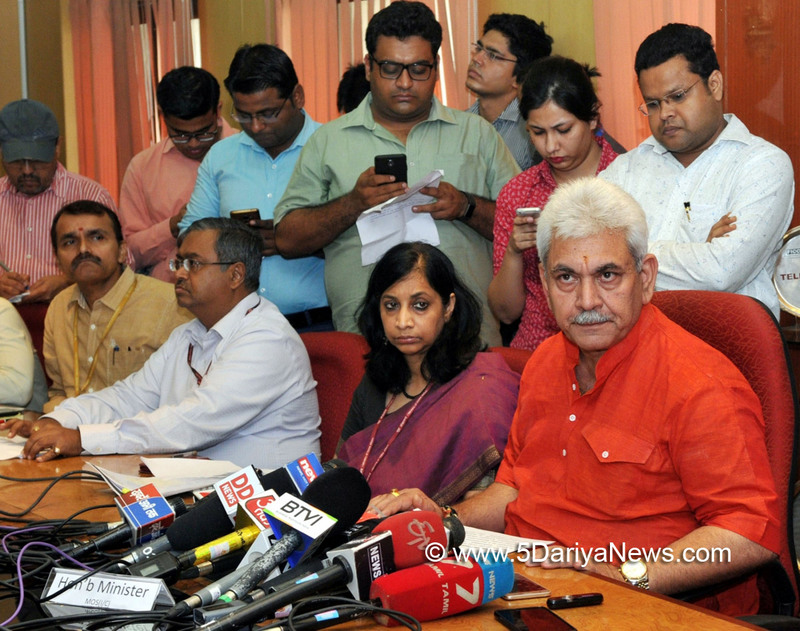 Lathicharge on students, especially female students, is totally unacceptable and strong action would be taken against those involved in the Banaras Hindu University (BHU) incident, Minister of State for Communications Manoj Sinha said here on Tuesday. "Lathicharge on any student, especially girl students, is not permissible. Strong action will be taken against those involved in this incident," Sinha said on the sidelines of an event here.The Minister is an alumnus of IIT (BHU) and a Lok Sabha Member from the adjoining Ghazipur constituency. "Government is keeping an eye on the situation and appropriate action has been taken. The officials who were responsible have been removed," Sinha added.On September 23 night, a protest by female students outside the Vice Chancellor's office against molestation of a student on the campus turned violent. The protesting students got into a heated argument with security personnel when they tried to stop them. As the news spread, male students from other hostels came out to support the women students and in some time the agitation turned violent.Over 1,500 police personnel in the area carried out a baton charge on the students and even fired some rounds in the air. In response, students threw stones and burnt a police motorcycle.On Tuesday, Varanasi Commissioner Nitin Gokarn submitted a report in connection with the September 23 lathicharge on protesting students and blamed the BHU administration for the violence.Gokarn has in the report, sent to Chief Secretary Rajiv Kumar, said that the BHU did not deal with the victim's complaint in a sensitive manner and did not handle the situation on time.